Most of us have no idea what is going on up on our roofs. Who actually climbs up there to check on the condition of the roof? If you think your roof may have been damaged by hail, wind, or storms, and you have homeowners insurance, you may qualify for a free roof. If you have homeowner's insurance, you may be able to get a free roof. Look online for roofing companies or a roofing contractor that does free roof inspections. You should not have to pay for a roof inspection. Make an appointment with the roofing contractor for your free roof inspection. When the roof company arrives, make sure they take a camera up on the roof to take pictures of what they find. Don't just take their word for it. The roofing contractor may find hail damage, which is small little pings in the roof shingles. Hail can also chip away the surface of the shingles and wear them down. The roofers may also find wind damage which can be anything from missing shingles, gaps in shingles, or shingles with upturned edges that have come detached from the roof. The roofing company will be able to tell you if your roof is damaged and should be replaced. If they find damage, call your homeowners insurance company and file a claim for your roof. Your homeowners insurance company will then ask you several questions and schedule an adjuster to come out and inspect the roof. Many times, the adjusters won't even get up on the roof, so you need to be prepared with those pictures taken by the company that gave you the free inspection. 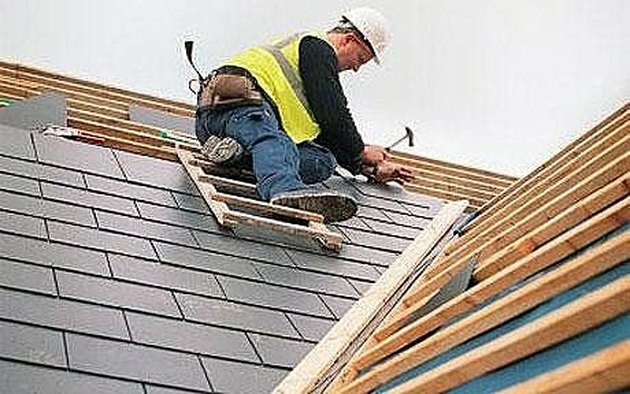 You may have to argue your case using your photo evidence, or even a second opinion from another roofing company. If so, just be persistent with your homeowners insurance company. Remember, this is why you have insurance in the first place - to replace damages to your home.